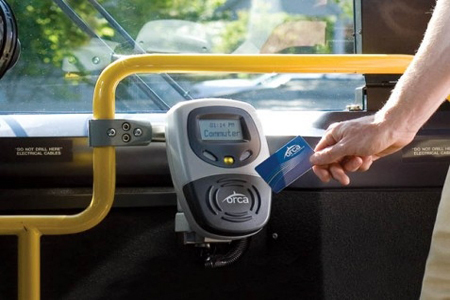 HA NOI (VNS) — Ha Noi has begun a pilot project to introduce electronic smartcards in the city, with the installation of smartcard readers on the Giap Bat-Gie Bridge bus route this month. This is part of the Traffic Safety Human Resource Development project to develop public transport in Ha Noi. The project consists of two phases funded by non-refundable aid from Japan International Co-operation Agency. The first phase piloting the use of smartcards is worth more than VND32 billion (US$1.5 million). The project would issue 200,000 smartcards for bus passengers. Passengers can register to receive smartcards at ticket stalls, free of charge. Smartcards would be officially issued for the Giap Bat-Gie Bridge route from October 6. Kubo Yoshitomo, a representative of JICA, said the number of passengers travelling with monthly tickets accounted for 70 per cent of commuters. Meanwhile, the management of ticket sales and the use of fake paper tickets remained big problems. The pilot project would bus ticketing to operate more effectively, especially if the city moves to develop urban railways and bus rapid transit systems. Nguyen Hoang Hai, director of the city's Urban Transport Management and Operation Centre said the city had decided to trial electronic bus tickets on specific routes to wean passengers onto the new system. "We have to accept the use of both two kinds of tickets. A developed country such as South Korea spent ten years trying to apply electronic tickets on a large scale," he said. The centre has submitted a proposal to the city authority to apply the model of e-tickets across all bus routes. If the proposal is approved, it would take three years to be carried out, he said. In the meantime, doubts remain over the feasibility of the project. Pham Quang Tho, a bus assistant at Gia Lam Bus Station said many passengers were careless and could take minutes to find their tickets. In crowded areas such as universities, the number of passengers could be up to 40 people, while the time for a bus to pull over was only a few minutes. If the ticket process was slow, some passengers could miss the bus, he said.